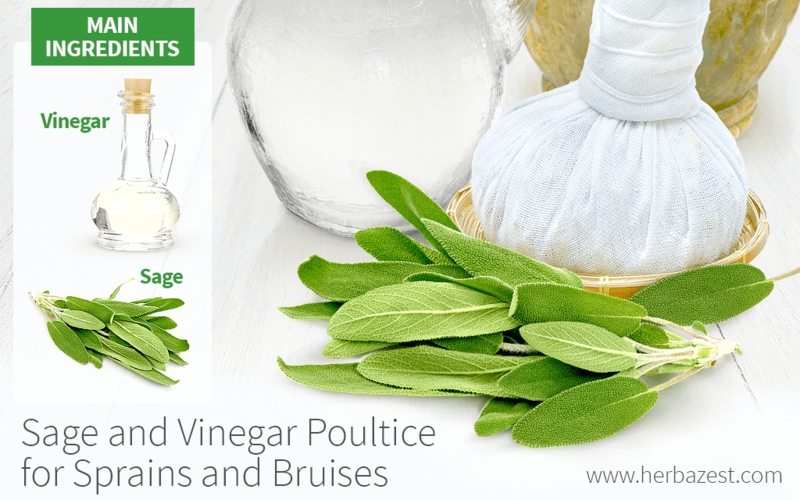 This easy sage vinegar poultice is an excellent first-aid remedy for sprains and bruises. It takes a few minutes to make, but can offer a long-lasting relief. The two ingredients in this recipe, sage and vinegar, have similar properties when used topically. They both reduce inflammation and swelling, thus lowering the pain and speeding up the healing process. Place on the affected area as hot as tolerable to avoid burns. You may cover the poultice with a plastic wrap or a kitchen towel. Keep in place for 30-60 minutes.